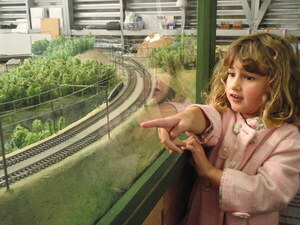 Experience the fun of Middleton Model Railway - one of the largest model railways in New Zealand. It's a delight for kids of all ages, with detailed scenery and plenty of buttons to push to make the locos move. The Middleton Model Railway is open daily (except Thursday) for model sales and is located off the main highway (SH2) just south of Eketahuna - look for the signs. Open weekends & public holidays 10am - 4pm and school holidays 1pm - 4pm.